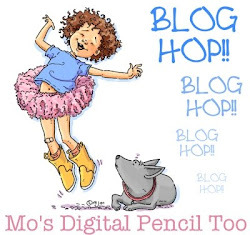 megastamper: mo´s dream team blog hop "to my friend"
mo´s dream team blog hop "to my friend"
wie jeden 3. donnerstag im monat ist es auch heute wieder dream team blog hop zeit!!!! 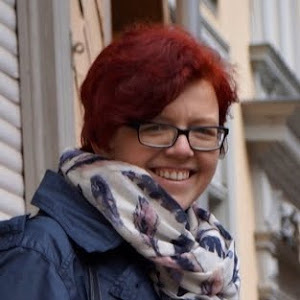 für heute war ich an der reihe das thema für den blog hop vorzuschlagen: die farbe TÜRKIS! ich finde die farbe nach wie vor wunderschön und kaum eine meiner karte hat nichts mit irgendetwas türkisem. für meine karte habe ich mir das total niedliche motiv "waiting for rain" ausgesucht und ihr findet es in here mo´s shop. das sentiment ist ein alter stempel von magnolia, aber ich liebe ihn immer noch sehr, weil er so vielseitig verwendbar ist. alle papiere sind von daisy bucket designs und der cardstock von efco (über megahobby). die coloration entstand hier ausschließlich mit distress inks. der rahmen um das sentiment und auch die blätter um die rose sind neue schablonen von spellbinders und auch die findet ihr beide bei mir im megahobby shop. der pavillion is eine metallprägeschablone, die ich mit cardstock verwendet habe und dann mit dem cutter alle unnötigen teile ausgeschnitten habe. die hochgeprägten teile habe ich dann nur noch mit stickles nachgezogen. die rose ist vom drogisten (rossmann) und habe ich dann mit türkisen glimmer mist eingesprüht. die ränder habe ich allerdings auch mit stickles beglittert. wenn du dem blog hop folgst, dann startest du bei mir (bea) und dein nächster stop ist dann bei heidy. du kannst auch gewinnen: wenn du bei jedem mädel des blog top team einen kommentar hinterlässt, hast du die chance auf einen gutschein von 5 $ von mo zu gewinnen. ich wünsche dir viel spass beim hoppen und viel glück beim gewinnen. schau dir mal die superschönen karten der mädels an. ein thema und so viele varianten. hab einen schönen tag. vielen dank, dass du wieder bei auf meinen blog gefunden hast. as evey third thursday of the month it´s time for the dream team blog hop time!!!! for this time it´s my turn to suggest the theme of this blog hop round: the colour TURQUOISE! i still love this colour and nearly no card of me has nothing with turquoise. for my card i have chosen the very cute image "wating for rain" and you can find her in mo´s shop. all my design papers are from daisy bucket design and the cardstock is from efco (about megahobby). the coloration is made with distress inks only. if you want to follow the blog hop, the you´re starting a my blog (bea) and your next stop should be heidy. you also can win: please leave a comment on each girl of the blog top team and you will have the chance to win a 5 $ coupon from mo. i wish you all a lot of fun with the hop. look to all the wonderful and so sweet cards. have a nice day and thank you for swinging by. Wauw I love this card it is very beautiful. Hi Bea! You card is lovely!We used the same image! lol! Thanks for a fun theme! Gefällt mir sehr gut Deine Karte,sehr farbenfreudig. What a lovely carfd!!! I love the image you used!!! Going to hop further to the others DreamTeam girls! wauw wat een prachtige kleurijke kaart!!! Oh Bea this is gorgeous!!! Turquoise is such a lovely colour and so underused - thanx for this fabulous challenge. Your card is absolutely gorgeous...i love the die that looks like a birdcage sooo cute. beautiful card Bea, I hadn't realised that there was so many different shades of your colour choice. Gorgeous card and my favourite colours too! So beautiful. Turquoise is one of my favorite colors - great inspiration. Thanks for giving me all the inspiration! I think I am off to make some muffins and then to do some crafting!!! Great card Bea, wow beautiful colour and great colouring. It was a nice hop thank you all. Beautiful card, Bea! I love the image and the wondrful papers and details you used! Beautiful card! Loving all the little details on it. Lovely! I like turquoise too and your design is just fabulous. Super cute card! Die ist ja wieder sooo toll geworden!!! You have such a delightful creative style! Sweet, sweet card! Wonderful creation! What an amazing job! Beautiful coloring and nice papers! Eine tolle Karte und ich mag die Farbe auch, aber auf meinen Karten findet man sie eher seltne....warum eigentlich??? OH How Beautiful this card is!! Totally love it!!!!!!! Very beautiful card. Love it! Love your card! I have to agree that turquoise is one of my favorites as well. Thanks for sharing! Beautiful card and I love this color too! What a beautiful card Bea, wonderful colours and details and the image is super cute! SOOOOO sweet! What an incredible start to the blog hop! Es ist eine wunderschön Karte. Ich liebe der Stempel "Waiting for rain. What and beautiful card. Find the hallmarks of Mo so much fun. You did it very nicely colored.